Elaine N. McCusker, age 95, of Gordon, WI, passed away Monday, March 4, 2019 at Maple Ridge Care Center in Spooner, WI. She was born January 11, 1924 in Schley, Minnesota, the daughter of Peter and Fern (Phillips) Kornezos. She was united in marriage to John T. McCusker Jr. on November 29, 1947 in Milwaukee, WI. In her late teens, Elaine developed (no pun intended) an interest in photography while working at a studio in Milwaukee. She became one of a group of women skilled at hand coloring black and white photos in an era before the advent of film. Elaine also had a deep appreciation of the beauty in nature that surrounded her – the sun, the moon, the stars and the beautiful blue sky in contrast with the tall green pines. They were always her simple testimony to the existence of God. She enjoyed sitting on her deck taking it all in while enjoying a good cup of coffee. She had only one vice – CHOCOLATE! Elaine was a hardworking homemaker and was a loving wife, mother and grandmother. 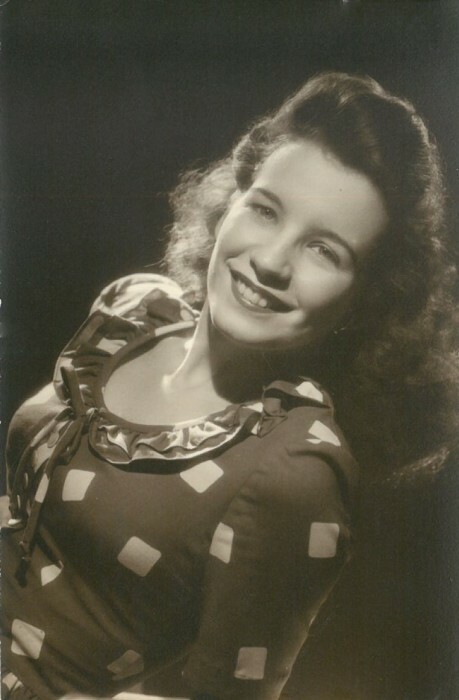 She was a classical pianist who also loved big band music. Her other interests included history, geography, flowers and her “addiction” – crosswords. She is survived by her children, Mora McCusker of Gordon, Peter McCusker of Gordon, Peggy Jo (Bill) Wasko of Gordon, Jack McCusker of Gordon, Michael McCusker of Gordon, Daniel (Audrey) McCusker of Superior, Jennifer McCusker of Minnesota and Jean McCusker of Hayward; her grandchildren, Chad, Krista, Jessie, Steven, Kristina, Jake, Emilee, Kevin and Sara; seven great-grandchildren; and her life-long friend, Tessie Leon. In addition to her parents, Elaine is preceded in death by her beloved husband, John.